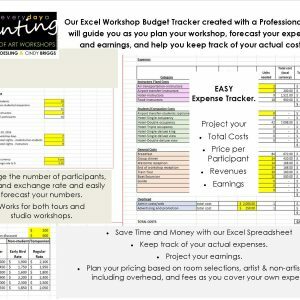 Easily forecast your Art Workshop/Retreat expenses and earnings with the Business of Art Workshops Budget Tracker. Easily adjusts for varied exchange rates, number of days, number of participants and non-artists. Budget your total expenses so you can project your costs and earnings. Keep track of your Actuals for final analysis. Save Money. You don’t have to spend days/weeks creating your own or hire a CPA to create from scratch. Valued at over $1500.00 in time and services. Your introductory price $147.00 available for a limited time. 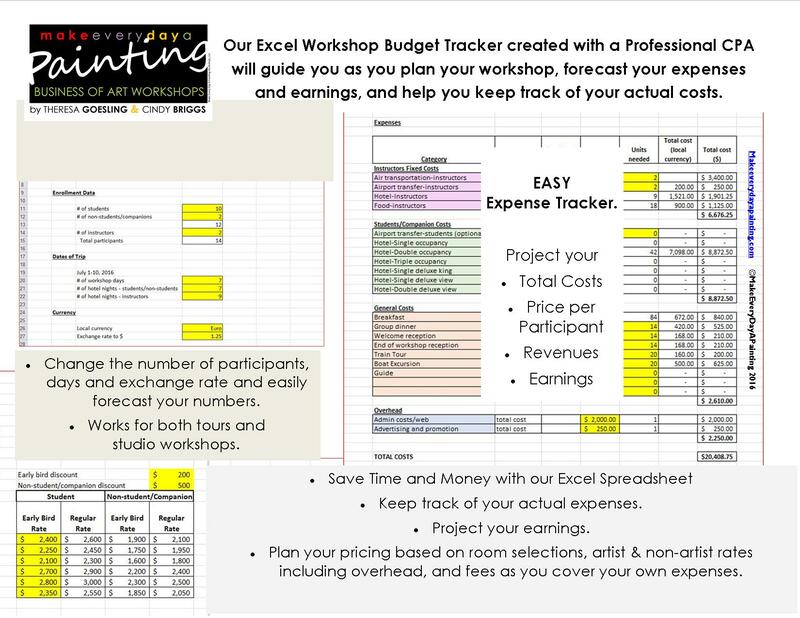 Products include workable spreadsheets. Does not include the Excel program.